Over the years, I have been commissioned by leading foundations, research institutions, and corporations to produce and author long-form independent research reports. Below are some examples of that work in recent years. The U.S. venture capital industry, and the high-tech startups supported by it, have a well-known gender gap. In 2017, 16 percent of the nearly $83 billion invested in U.S. venture-backed startups went to companies with at least one female founder, and just 2.5 percent went to startups with all-female founders. This report adds to the relatively limited research in this area by studying patterns of women-founded, venture-backed startups in the United States between 2005 and 2017. While others have tended to look at topline aggregates of venture deals and funding amounts by the gender composition of founding teams, we focus on the number of new companies entering the venture-backed pipeline each year by tracking “first financings” (initial venture investments). Thirteen first-financing cohorts were produced for the years 2005 through 2017. Overall, a great deal of progress has been made in recent years for women founders at the early stage of the funding market, but there remains plenty of room for improvement for women in venture-capital-funded businesses overall, in the information technology and enterprise services sectors, in a number of startup communities, and among venture capitalists themselves. Canada, it is increasingly argued, has emerged as a leader for high-tech innovation and entrepreneurship. Global titans like Google and Microsoft have established outposts in Canada to harness the country’s leading artificial intelligence talent. As the United States has moved restrict immigration, Canada is seen by many as a preferred destination for global talent. Toronto placed fourth in one ranking of tech talent this past summer, behind only the San Francisco Bay Area, Seattle and Washington DC, adding more tech jobs in 2017 than those three metros combined. Report after report have dubbed Canada and its leading centers, particularly Toronto, Waterloo, and Vancouver as among the world’s most up-and-coming tech hubs. But is this really true? Our detailed analysis of more than 100,000 venture capital investments in startup companies across 300 plus global cities between the years 2005 and 2017 suggests a more nuanced picture. On the one hand, Canada and its leading startup hubs—Toronto, Vancouver and Montreal—have seen a rise in high-tech startups backed by venture capital over the past decade. But, on the other hand, that growth—both for the nation as a whole and for its leading startup hubs—has been more subdued than it has been for other countries and cities. The United States is the birthplace of modern, high-tech startups, and the funding model that helps support them. What we think of today as venture capital originated in Boston in the mid-1940s, and later came of age alongside Silicon Valley’s young high-tech companies in the 1950s, 1960s, and 1970s. For decades, venture capital was an almost exclusively American phenomenon—as late as the mid-1990s, nearly all global venture capital investments went to U.S. companies. However, things have changed significantly in recent years, as the geography of startup activity and venture capital investment is undergoing a rapid and profound period of globalization. Today, U.S. companies capture just over half of venture capital investments worldwide. 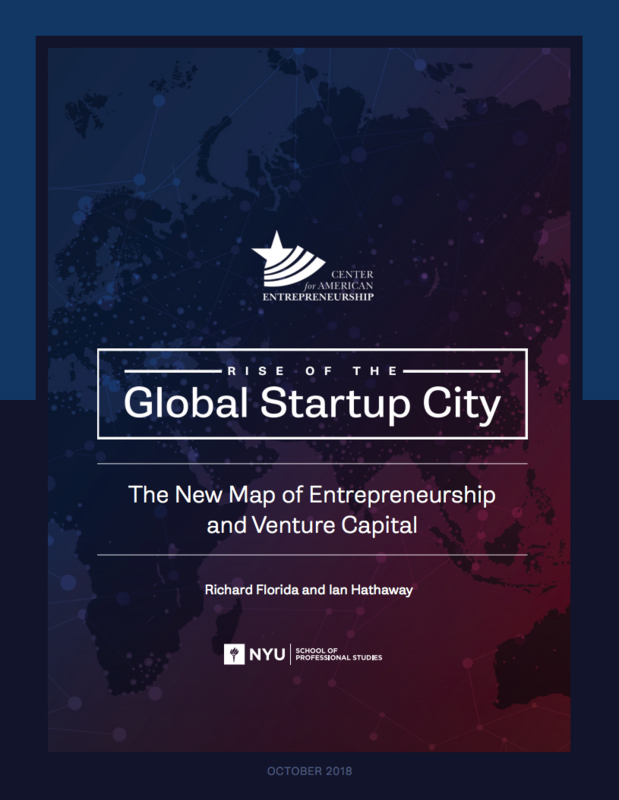 To assess the changing global map of startups and venture capital investment, we analyze more than 100,000 venture capital deals across more than 300 metropolitan areas between the years 2005 and 2017, which includes the period before the economic crisis, the Great Recession, and the subsequent recovery. We find that America’s long-held singular dominance of startup and venture capital activity is being challenged by the rapid ascent of cities in Asia, Europe, and elsewhere. While the United States remains the clear global leader, the rest of the world is gaining ground at an accelerating rate. The “Rise of the Rest” has become a common phrase used to describe the emergence of high-value entrepreneurship clusters in areas outside of the well-known coastal startup hubs such as San Francisco, Silicon Valley, Boston, and New York. In 2015, to partially test these ideas, I analyzed the geographic distribution of a subset of early-stage startups focused on high-growth—those raising venture capital funding. I restricted my analysis to the initial round of venture investment to hone-in on the companies most associated with starting up. My analysis of these “first financings” supported Brad’s and Steve’s theses by demonstrating that more early-stage companies from more U.S. metropolitan areas were being backed by venture capitalists. But, is this still true? That’s the question I’ll attempt to answer today with the benefit of three additional years of data to examine. Given the on-going national debate regarding immigration policy – and the well-established importance of immigrants to entrepreneurship in the United States – the Center for American Entrepreneurship (CAE) has analyzed the Fortune 500 data for 2017. We found that 43 percent of these companies were founded or co-founded by an immigrant or the child of an immigrant. We also found that the occurrence of first- or second-generation immigrant founders is significantly higher among the largest Fortune 500 companies – accounting for 52 percent of the top 25 firms and 57 percent of the top 35 firms. Immigrant-founded Fortune 500 firms are headquartered in 33 of the 50 states, employ 12.8 million people worldwide, and accounted for $5.3 trillion in global revenue in 2016. The findings of CAE’s analysis – along with a vast research literature – demonstrate the remarkable and persistent importance of immigrants to the creation and growth of America’s largest, most successful, and most valuable companies. With world-class businesses in computing and information goods and services, and those that intensively use these digital inputs in production—across media, finance, advertising, and other high-value business services—the UK is a global leader in the digital economy. The UK’s “digital sector” accounts for 16 per cent of domestic output, 10 per cent of employment, and 24 per cent of exports. It contributes disproportionately to growth, productivity, and innovation—directly and indirectly—and its development has been a stated national priority. Like many other sectors of the economy, Britain’s digital sector is now confronted with a changing business environment as government prepares for an exit from the European Union. This analysis demonstrates why access to cross-border markets, skilled labour, and data flows were prioritized by Britain’s leading digital companies last year—because these factors are fundamental to the sector’s international orientation and to its performance in a global marketplace. Our primary finding is that the digital sectors are vulnerable to disruptions on both the supply side and the demand side from Brexit, particularly when compared with the UK economy overall. The gig economy, as reflected by nonemployer firms, is significant and growing fast. Overall, there has been a clear surge in nonemployer firms’ — a measure of contractor and freelance individuals — business activity in the last decade, which almost certainly reflects, at least in part, the rise of online platforms. Platform-based freelancing is not yet substantially displacing payroll employment—but that could change. Despite the uptick in nonemployer contractors, payroll employment in “rides and rooms” industries has not declined during the last five years. Instead, payroll employment has increased in these industries, particularly in the passenger ground transit sectors. Online gigging in the rides and rooms industries is so far concentrated in large metropolitan areas. Gig economy activity is unevenly distributed in the rides and rooms industries. The spread of nonemployer firms between 2010 and 2014 occurred mostly in the largest metro areas. No less than 81 percent of the four-year net growth in nonemployer firms in the rides sector took place in the 25 largest metros, while 92 percent occurred in the largest 50 metros. The UK has a world-class reputation for creative output and creative people. In every sector of the Creative Industries the UK has businesses and people that excel internationally in terms of recognition for creative ability and commercial success. The wider creative sector accounts for more than 8 percent of total UK gross value added. But average productivity in the creative industries is low, driven by a very heavily skewed distribution of firm size in the sector: 90 percent of creative businesses have no more than five employees, 80 percent have no more than two, and 60 percent have just one. This report explores what the barriers are in the Creative Industries that prevent micro-businesses from growing into small ones, small businesses becoming medium-sized ones, and medium-sized ones becoming large. In particular, it looks at how absorptive capacity – the ability of creative businesses to take new ideas and turn them into commercial success – can be boosted in the Creative Industries. Venture capital activity in digital health has increased substantially in recent years, as this sector vertical has increased its share of total deals and dollars invested in the United States—at a time when total VC has grown rapidly. Digital health companies began pushing into later stages in 2014, driven by a shift towards traditional VC firms from healthcare or early-stage specialists. Exit activity—IPOs and M&A—has also grown significantly in recent years, with four times the activity in 2014 as compared with 2012. Despite a number of health IPOs during this period, typical valuations and invested capital multiples (returns on investment) have been higher for M&A deals. The digital health ecosystem is dispersed geographically throughout the United States, with less concentration of deals and dollars invested among the very top metropolitan areas for venture capital. While there is a high correlation between metro areas receiving the most digital and total VC funding, when scaled by the size of the local workforce or as a share of total within-region funding, a different list of areas emerges. Relative to other affluent countries, the United States devotes disproportionate resources to health care with disappointing results. Complex insurance rules and distorted market signals create massive inefficiencies, frustrated patients, and providers burdened by excessive paperwork. Recognizing these problems, entrepreneurs are increasingly applying information technology to health care equipment, monitoring, treatment, and service delivery, creating a sector known as digital health. These technologies, once embedded and distributed around the country, hold the potential to substantially alter the efficiency and quality of health care through the better generation, processing, and use of information; the reduction of overhead costs; and the empowerment of patients. This analysis finds that digital health venture capital investment is a substantial and growing share of total venture capital, creating, even in its infancy, valuable returns for owners. Venture investments in digital health are more dispersed geographically than total venture capital, yet digital health entrepreneurship has no geographic relationship to the traditional health care sector. Rather, the presence of workers in advanced service industries strongly predicts digital health investment at the metropolitan scale. Companies in these industries are highly oriented toward the research and development of new products and employ high percentages of STEM workers, who have the technical skills to create and apply technological innovation. Following a number of recent reports documenting a pervasive decline in the firm formation rate across a broad range of sectors and geographic regions in the United States during the last few decades, this report takes a first step at offering a partial explanation of contributing factors by analyzing variation in startup rates across the U.S. metropolitan areas during a three-decade period. Two prominent drivers of the cross-regional patterns stand out: slowing population growth in the West, Southwest, and Southeast regions since the early 1980s, and an increase in business consolidation. 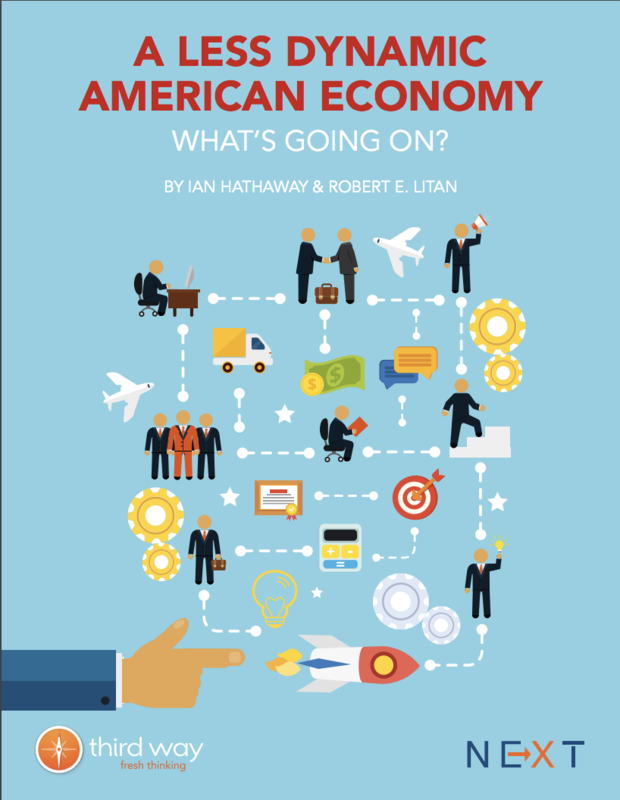 A Less Dynamic American Economy: What's Going On? As we struggle to increase economic growth and restore the many jobs that were lost, central to Americans’ ideals about their economy is that it is vibrant and entrepreneurial such that an individual can strike out on his or her own, start a business in their garage, and grow it. But lately there are signs that the entrepreneurial dynamism so central to our economic growth and to our belief in the uniqueness of our economy is lagging. Ian Hathaway and Robert E. Litan tackle this question in the latest paper in Third Way’s NEXT series. As markets and business patterns change, new business establishments are created to serve them. Those new establishments can be provided by entrepreneurs creating new firms or by the owners of existing businesses opening new locations. We show that over the past three decades, new establishments have increasingly been provided by existing businesses opening new locations. Those new locations have created jobs at a higher rate than brand-new firms, which helps to boost job creation. Looking at both forms of new establishments shows that job creation is down following the recession, but new locations were growing entering the recession and should be a critical component of job creation as the economy continues to recover. 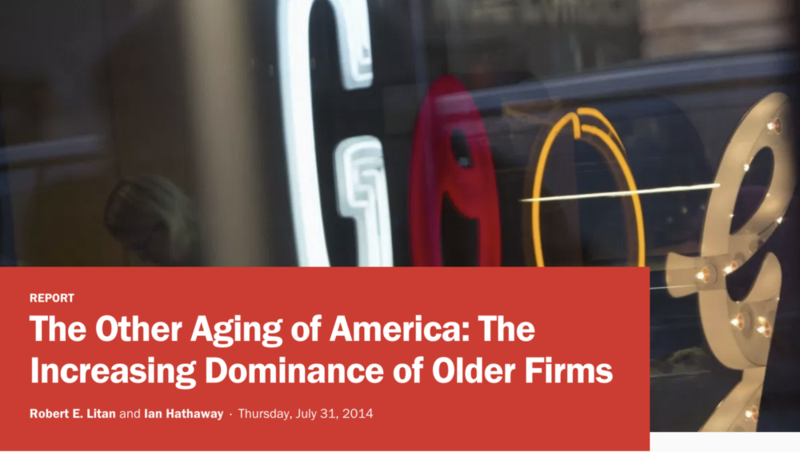 Like the population, the business sector of the U.S. economy is aging. Our research shows a secular increase in the share of economic activity occurring in older firms—a trend that has occurred in every state and metropolitan area, in every firm size category, and in each broad industrial sector. We explore three potential contributing factors driving the increasing share of economic activity occurring in older firms, and find that a secular decline in entrepreneurship is playing a major role. We also believe that increasing early-stage firm failure rates might be a growing factor, but are unable to find strong evidence of a direct link between business consolidation and an aging firm structure. 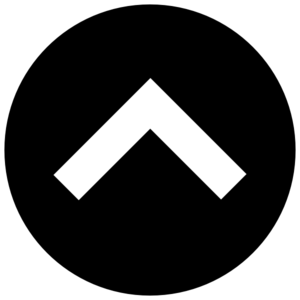 This research clearly establishes that it has become increasingly advantageous to be an incumbent, particularly an entrenched one, and less advantageous to be a new entrant. The life sciences sector plays an outsized role in new job creation and makes important contributions to entrepreneurship. However, these trends have waned over time—matching previously documented declines in job creation, business dynamism, and entrepreneurship across a wide range of sectors and geographies. The innovation, productivity, and net job creation unleashed by these startups requires a regular flow of new firm formations far in excess of what we’ve seen in recent years. There is also considerable variation within life sciences. The drugs and pharmaceuticals segment is particularly dynamic, as exhibited by steadily increasing firm formation and very high rates of net job growth for young startups. The research, testing, and medical labs segment has outperformed the private sector as a whole on a number of measures, but was hit hard during the recent economic downturn. Entrepreneurship and net job creation in medical devices and equipment have been on a secular decline over the last two decades—firm formations are down more than fifty percent, and those that are born create fewer new jobs. high-tech. Here, the geographic aspects of business dynamism are analyzed. In particular, we look at how these trends have applied to the states and metropolitan areas throughout the United States. In short, we confirm that the previously documented declines in business dynamism in the U.S. overall are a pervasive force throughout the country geographically. The U.S. economy is very dynamic—with firms entering, exiting, expanding, or contracting at all times. This dynamic process is an important source of productivity growth and sustained economic prosperity. But, recent trends point to sustained declines in business dynamism and in entrepreneurship across a broad range of sectors in the U.S. economy. We examine how these trends apply to the U.S. high-tech sector—defined here as the group of industries with very high shares of workers in the STEM occupations of science, technology, engineering, and math. Our findings show that the recently documented secular declines in business dynamism that occurred broadly across the U.S. economy during the last couple of decades also occurred in the high-tech sector in the post-2000 period. As part of this decline in dynamism, we find indicators of a slowdown in entrepreneurship in the high-tech sector in the post-2000 period. We analyze high-tech employment and wage trends in the European Union between 2000 and 2011. Using a broad industry-occupation framework to define high-tech, we find that the 22 million high-tech workers in the EU-27 represented 10 percent of total employment in 2011. High-tech employment grew at more than twice the rate of total employment during this eleven-year period, and spread throughout the continent—on average, increasing most in regions with previously lower concentrations of high-tech activity. High-tech workers face more favorable labour market outcomes as evidenced by lower unemployment rates and a substantial wage premium—indicating the high demand for these workers and the economic value they generate. We also find a sizable secondary local jobs multiplier, where the creation of one high-tech job in a region results in more than four additional non-high tech jobs in the same region. High-tech firms have played an outsized role in entrepreneurship in the U.S. during the last three decades, as business formation rates and growth have far outpaced those for firms across the entire economy. Though they start small, young high-tech firms tend to grow so rapidly that job creation is robust enough to outshine the job destruction from early-stage business failures. The same cannot be said of new firms broadly, where net job destruction in the early and middle years is substantial. Even after removing the job destruction from firm closures, the net job creation rate of surviving young high-tech firms is still more than twice that of businesses across the economy. Though the major metros and tech hubs were responsible for the substantial majority of high-tech startup levels, the importance of smaller regions has grown. High-tech startup growth rates have been strongest, on average, in regions with lower densities. The opposite has been true for firms across the entire private sector, where new firm formations have been concentrated in regions with already higher levels of entrepreneurship. Freshly released government data show that new business formation rebounded in 2011, after four years of decline, from the depths of the Great Recession. This is a welcome development—new businesses are the engine of job creation in the United States economy and an important source of innovation and productivity. Perhaps most importantly, the rise in new business formation between 2010 and 2011 was geographically dispersed throughout the United States. While the rise of new business creation in 2011 is a significant development—it is the first annual gain in five years and the largest percentage annual increase in nearly a decade—the bulk of this paper examines two classes of new businesses that most closely resemble entrepreneurship: companies less than one year old with one to four employees and those with five to nine. 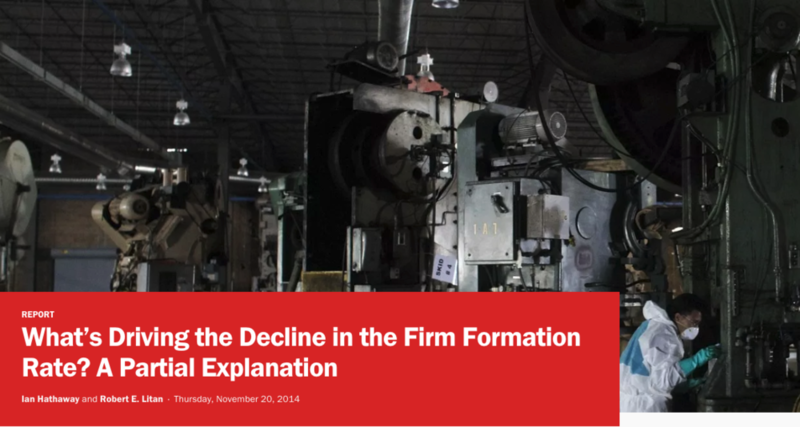 This analysis finds that the smallest of these new firms represent most of the increase in firm formation in 2011. 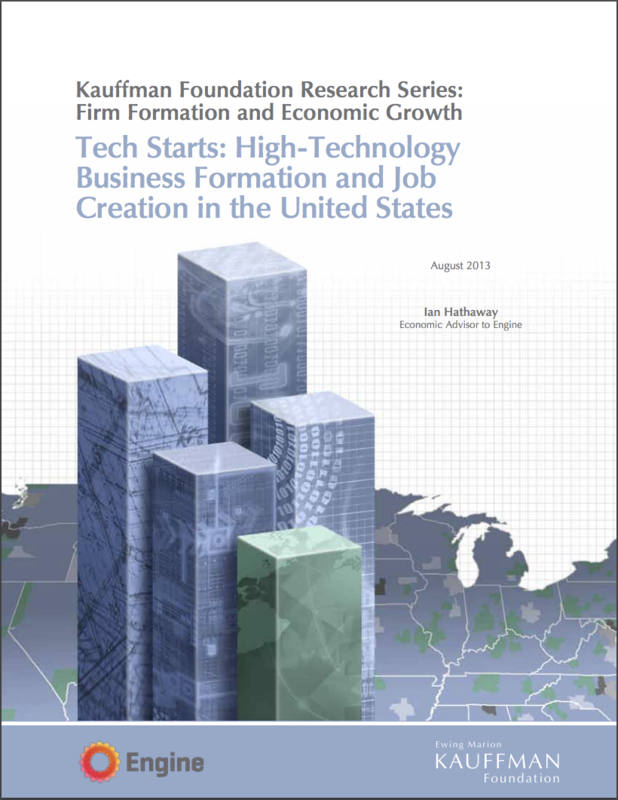 This report analyzes patterns of high-technology employment and wages in the United States. It finds not only that high-tech jobs are a critical source of employment and income in the U.S. economy, but that growth in the high-tech sector has increasingly been occurring in regions that are economically and geographically diverse. This report also finds that the high-tech sector—defined here as the group of industries with very high shares of workers in the STEM fields of science, technology, engineering and math—is an important source of job creation and local economic development. Among many other findings, this report demonstrates that the creation of one job in the high-tech sector of a region is associated with the creation of 4.3 additional jobs in the local goods and services economy of the same region in the long run. That is more than three times the local multiplier for manufacturing, which at 1.4, is still quite high. Young companies, not necessarily small ones, are responsible for the substantial majority of net job creation; in fact, outside of new firms, small businesses as a group have shed jobs during the last two decades. Much of the job loss in small, and particularly young, companies is associated with the closure of business establishments. Those that survive, as a group, contribute substantially to net job creation. In other words, young companies on average tend to either fail or grow rapidly. These findings highlight the pitfalls of associating small businesses generally with job creation, and call into question policies that narrowly target small businesses on the grounds that they are job creators. There may be many reasons for public policy to support small businesses; broadly speaking, job creation is not one of them. If job creation is the policy goal, this analysis suggests that policymakers should pursue programs focused on supporting startups and young high-growth enterprises to foster job growth. During the last 20 years, the tradable sector has generated faster income growth than the non-tradable sector. Employment has been the opposite story. All net job growth since 1990 has occurred in the non-tradable segment of the economy. Employment actually fell in the tradable sector. In other words, national income and employment growth are simultaneously occurring in different segments of the economy. Many factors have contributed to the divergence between income and employment in the U.S., including productivity growth, the increased automation of routine processes and the "polarization" of the American workforce as a result of the ability of higher-skilled workers to adapt to technological change. Still, technological adaptation alone cannot explain the differences seen between the tradable and non-tradable sectors. Some of this divergence must also be explained by the integration of international labor markets.